When 30 percent of your annual fundraising happens in one month, it can be a struggle to not feel overwhelmed. 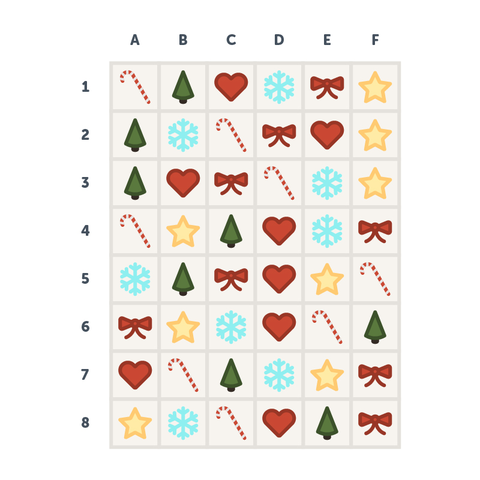 To keep stress at bay, take sporadic small breaks to do something fun—like a holiday movie quiz! Find out which holiday movie you have the most in common with by answering the following questions. Be sure to jot your answers down along the way. Once you finish, the answer key below will give you your results. 1. What Do You Stress Eat During Year-End Fundraising? 2. What’s Your Favorite Drink at Your Holiday Gala? 3. 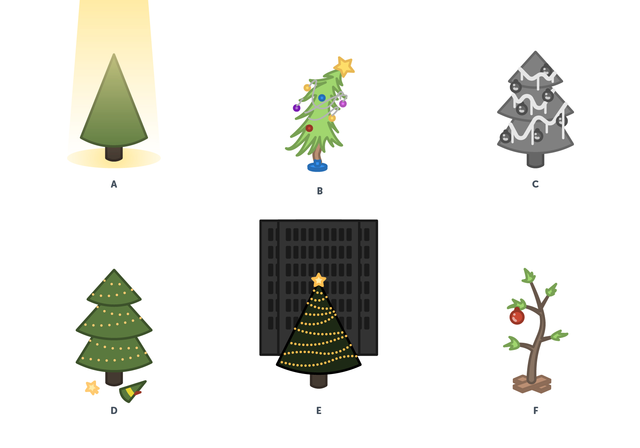 Which Christmas Tree Appeals to You the Most? 4. What’s Your Favorite Thing About the Holidays? 5. How Does Year-End Fundraising Make You Feel? B. I’m the hap-hap-happiest ever! 7. What’s Your Favorite Holiday Song to Rock out to at Work? 8. Which of These Sayings Do You Most Identify With? Now that you’ve jotted down your answers to each question, go through this key and count up the respective symbols for each of your answers. For example, if you answered “C” for question one, you’ll write down “heart” and continue down the list. The symbol you have the most of corresponds to the movie that best represents you. Have a tie between symbols? That just means you’re a perfect mashup of those holiday films! Read all applicable descriptions to get your full results. You LOVE the holidays and revel in tradition and working hard to get things just right. Sometimes, you spend hours planning (some may say “obsessing over”) the perfect experience down to the last lightbulb, and you can’t wait to gather for good, old-fashioned family fun. Just remember, when things don’t go absolutely according to plan—it’s okay! The most important thing is that you’re in it together and that you’re thankful for what you have…crazy cousins and jelly-of-the-month clubs included. Sometimes, the holidays can make you feel a little glum. You’re not crazy about the commercial elements of the seasons (good grief! )—you’re more into authentic and genuine experiences, like getting a real tree. You don’t get caught up in the glitz and glam and would rather remind everyone around you what this time of year is really about—spreading peace and goodwill. When it comes to the holidays, you can be a little bit of a Scrooge. You’re not one for the ribbon and trappings, and you prefer not to focus on gifts. You definitely have your moments where you just wish you could gather everything to do with the holidays in one bag and kick it over the hill. Luckily, a few people in your life (and your dog, Max) always manage to remind you that the holidays have less to do with gifts and more to do with just being together and finding joy in the world. You’re not a stranger to moments of doubt. “Who am I?” and “Why am I even here?” are questions we all face as members of the human race. The holidays are the perfect time to reflect and answer these questions. Whenever you come up against these thoughts, think about how different the world would be without you. Remember—your presence and the decisions you’ve made along the way have touched the lives of many, and your unique journey has made the world a better place. The holidays at your house are pure chaos. Most of the time, you feel like all you want this time of year is just some peace and quiet. Yet, in the rare moments that you do find yourself alone during the holidays, you find that you actually miss the ruckus. No matter how annoyed you get by each other, remember your family is just that—yours. The time you spend together is the greatest gift of all. You love sugar, snow angels, sugar, Santa, snowballs, and sugar. Your favorite activities are smiling, spreading Christmas cheer, singing, cuddling, and ice skating. Cynics never get you down—in fact, you bring them up with your contagious spirit! This holiday, be sure to share your joy for the season and sing loud for all to hear. What are your results? Let us know in the comments below!